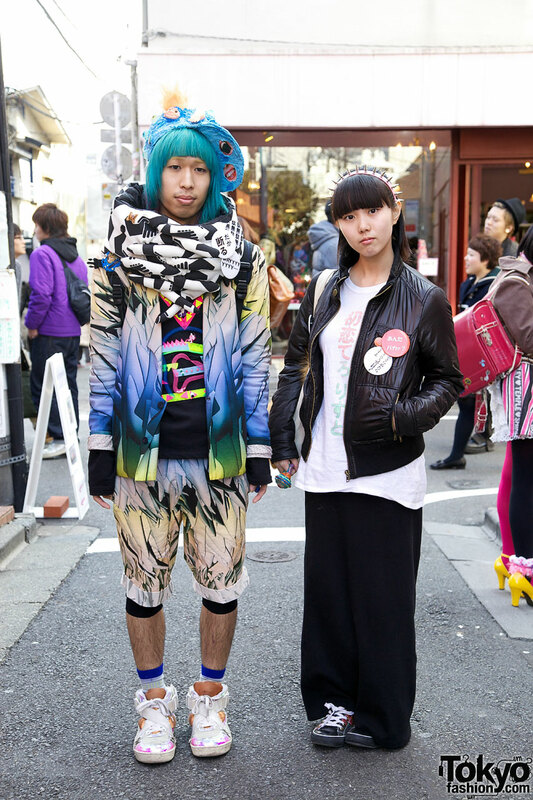 More than seventy fashion snaps from from a party aimed at students of Tokyo’s top fashion colleges. 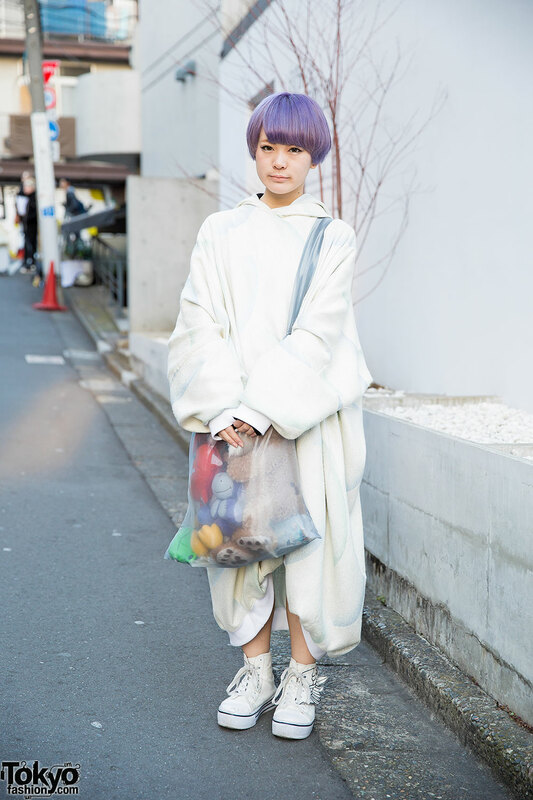 Harajuku girl with lilac hair wearing a hoodie dress, winged sneakers and a sheer bag full of plush toys. 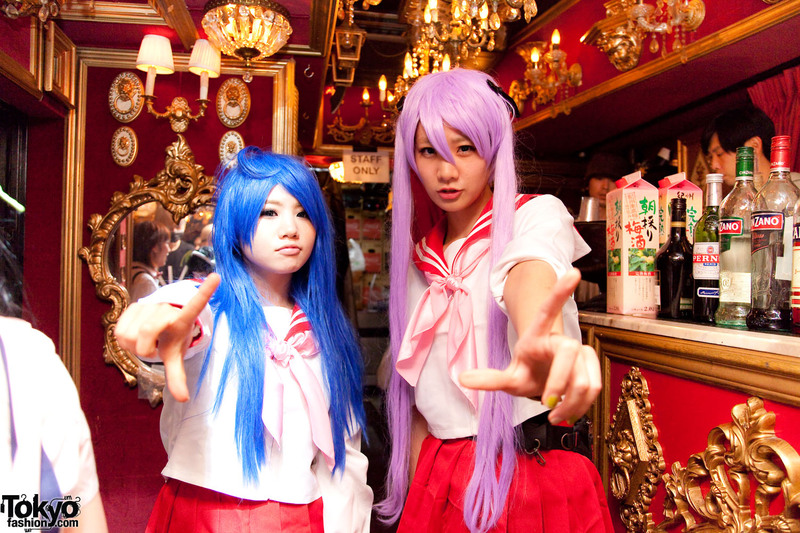 Pictures from the Itazura Tokyo “Big Magic Festival #9” Japanese fashion, street culture & anime party at Trump Room in June of 2012. 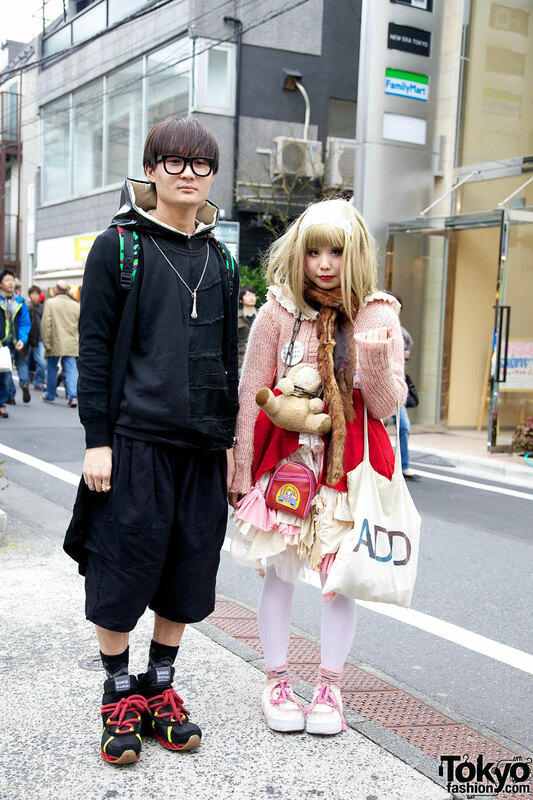 Guy in clothing from Comme des Garcons and girl in handmade remake outfit. 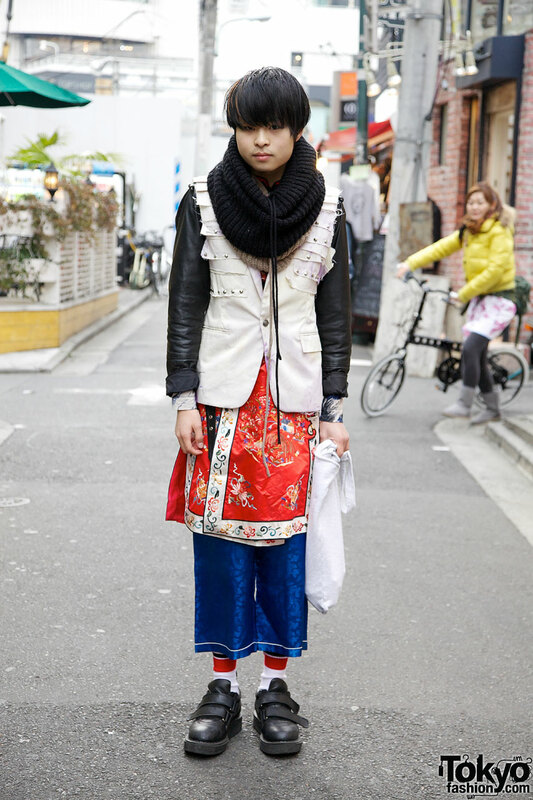 Cool Japanese guy in eclectic layers, including an embroidered robe.